Hello! I'm Angela, owner and creator of Cetonia Bath & Body. I make all our products by hand, design our packaging and manage our sales. 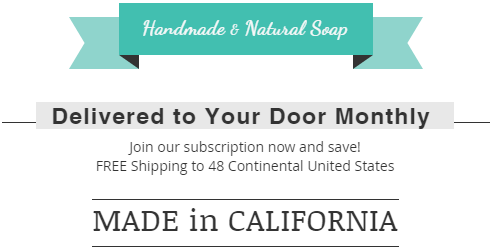 I started making soap when I transitioned to off-grid tiny house living with my family. I was searching for biodegradable products to minimize the footprint of my family. The majority of the products on the market I found are made with ingredients that are harmful for the environment, not to mention our skin! I set out to create a product for my family that was effective but did not contain the harsh chemicals and unhealthy additives found in drugstore cosmetics and body care products. After countless batches of experiments, I eventually created a perfectly balanced soap that is moisturizing, bubbly, creamy and long lasting! Maybe best of all, since I switched to handmade soap my skin is no longer irritated and inflamed as it used to be after using commercial body wash. All of our soaps are biodegradable, we carefully source our ingredients and we are always examining ways to make our products and packaging more sustainable and ethical. Our commitment to our customers is the same commitment I have to my family so you can feel good about shopping at Cetonia knowing you are getting the best in natural body care and you are also supporting a healthier planet! I'm confident that you will fall in love with Cetonia soap once you give it a try. Welcome to Cetonia Bath & Body, natural skincare made by people who care.